Let’s Clear Up What a CAFO Is, OK? I’ve been a little unfair before. I’ve generalized the practices of CAFOs on to the entirety of animal agriculture. I think I need to be more specific and clear up the issue of the CAFO. CAFO (Concentrated Animal Feeding Operation): It meets the definition of an AFO, and The operation meets one of the Regulatory Definitions of Large CAFOs, Medium CAFOs, and small CAFOs. From the USDA: “A production process that concentrates large numbers of animals in relatively small and conﬁned spaces, and that substitutes structures and equipment (for feeding, temperature controls, and manure management) for land and labor.” Side note: This is why the term factory farm is sometimes used interchangeably with CAFOs. You must look up the regulatory definitions of large, medium and small CAFOs in this pdf from the EPA. There are 1,607 CAFOs in Iowa. 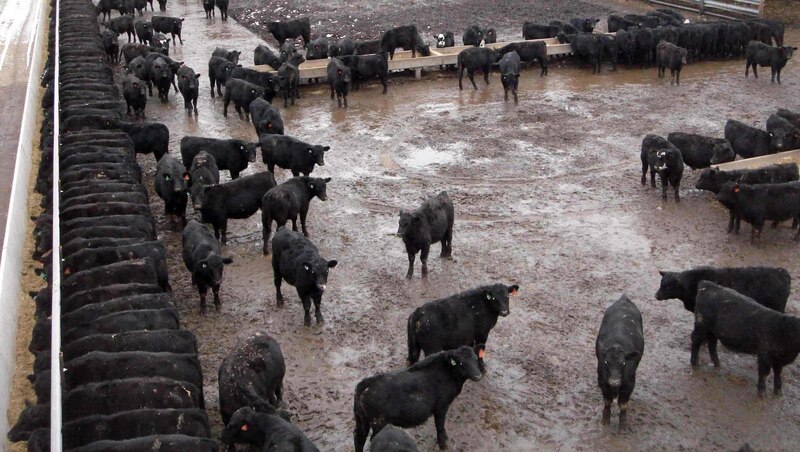 CAFOs make up approximately 15 percent of total AFOs. Why is anyone worried about 15 percent? So, while the term CAFO may not describe the majority of farms in the US, it certainly describes where/how the majority of animals are raised in the US. This list is not exhaustive and potential benefits and downfalls of CAFOs need to be examined more in-depth in subsequent posts. I think a lot of farmers and industry advocates will take offense to Berry’s caricature. I admit it might be too harsh. But that’s how the public sees CAFOs. It’s going to be tough for advocates of intensive production to explain to the public that this system has the animals’ best interest in mind. Most people will see through this and realize that while animal well-being is certainly considered and promoted within the system, the system was ultimately designed with the idea of getting the most out of the least. And for people like myself, I think we owe the animals more respect in the process of farm to plate.